David has a keen interest in commercial legal work including agri-law, complex property matters, tax and trusts. David Bailey, B.A. LL.B. (Hons), is a commercial, property, tax and trusts lawyer at Senior Associate level. He works with Peter Worrall and Kimberley Martin in the Commercial, Property Law and Trusts practice area of Worrall Moss Martin Lawyers. David concentrates on complex conveyancing, commercial transactions and trusts. 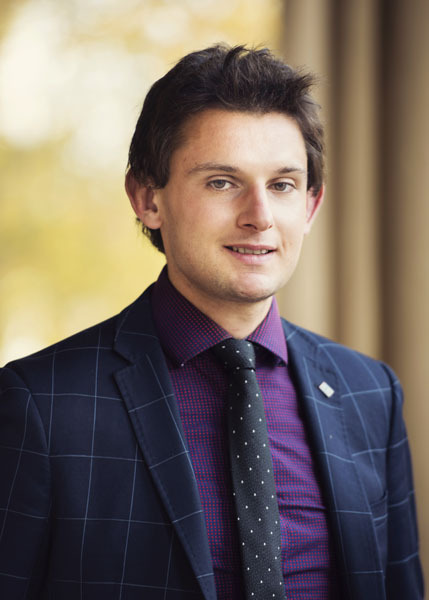 While studying at the University of Tasmania, David was a recipient of the Vice Chancellor’s Leadership and Teamwork Award. And he was also a finalist in the Tasmanian Young Achiever Awards for 2015 and 2016. He is an elite ultra-marathon runner and holds several national records. David has a keen interest in commercial legal work including agri-law, complex property matters, tax and trusts. David enjoys working closely with clients to reach tailored solutions for their commercial property and trust problems. David is a member of the Law Society of Tasmania, and is also a Member of the Law Society of Tasmania Property Law Committee. Clients or other advisers seeking to instruct or refer to David may contact him by the contact details and options on this page.